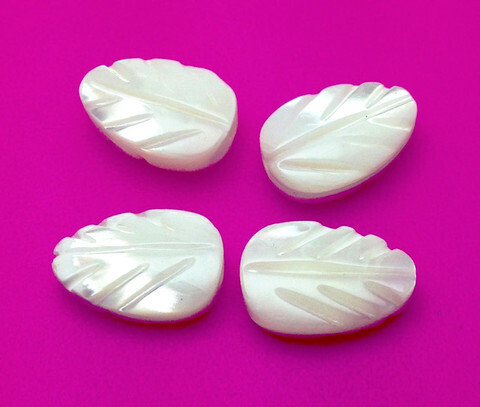 PACK OF 10 - These wonderful little leaves are hand carved from Freshwater Mother of Pearl shells and have a beautiful shiny finish. They have a hole across the length of the leaf for attaching to your project, so it's not visible. These little leaves are suitable for all types of needlework, sewing or crafting, sewing or crafting and beading. 8mm x 12mm.